autumnal › Buy Poster of Autumn leaf life cycle. Autumn background with colorful fall maple leaves on rustic wooden table. Life cycle of fall leaf. Thanksgiving holidays concept. Green, yellow and red autumn leaves. Top view. Poster of Autumn leaf life cycle. 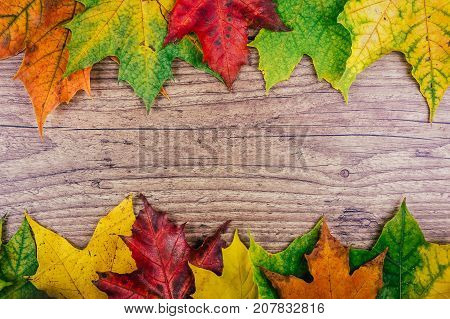 Autumn background with colorful fall maple leaves on rustic wooden table. Life cycle of fall leaf. Thanksgiving holidays concept. Green, yellow and red autumn leaves. Top view.